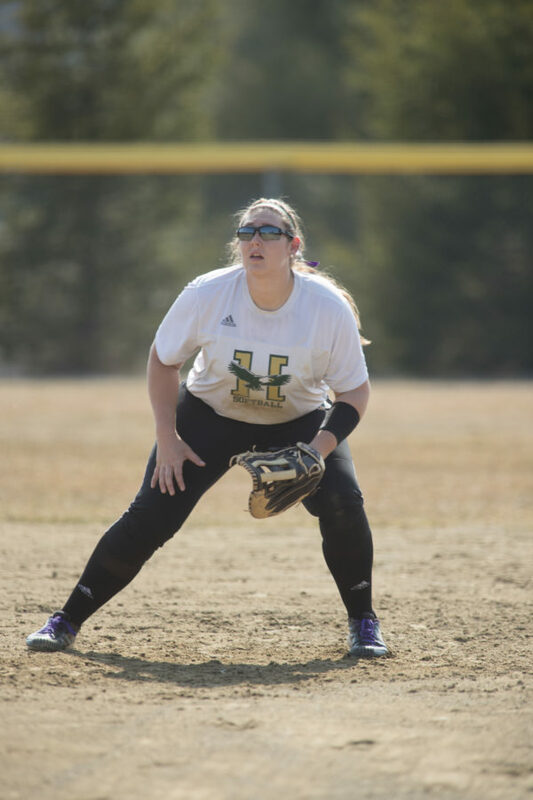 Briana Brochu of Pittston has provided tremendous offensive punch this spring for the Husson University softball team. The freshman is among several underclassmen who have helped propel the Eagles to the top spot in this week's North Atlantic Conference tournament in Bangor. 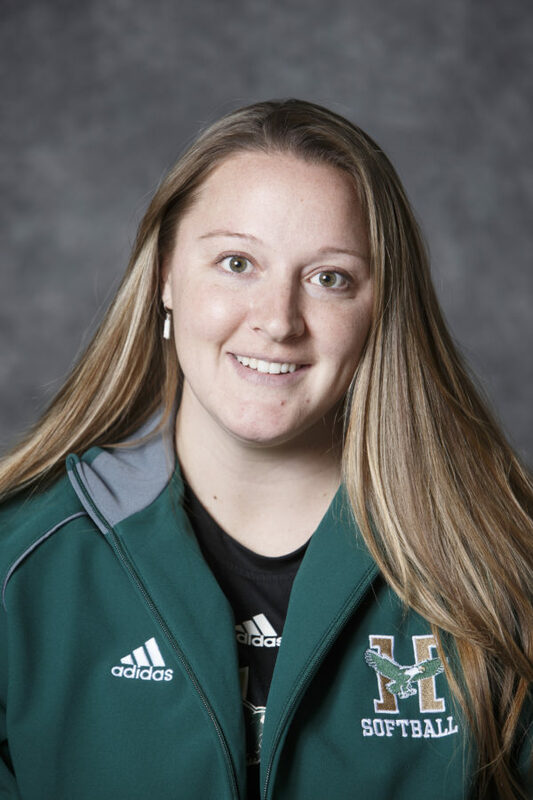 Tamara Aunchman has been a powerful force at the plate this season for the Husson University softball team. She is among several underclassmen who have helped propel the Eagles to the top spot in this week's North Atlantic Conference tournament in Bangor. No. 2 Castleton of Vermont (18-1-1, 10-2 NAC) faces No. 3 Thomas College of Waterville (11-21, 7-5) at noon Friday. Games continue at 2 p.m. and 4 p.m. Friday, and at noon and 2 p.m. Saturday, and an if-necessary game at 1 p.m. Sunday. Husson leads the conference in every significant offensive team category except stolen bases — where the Eagles are second. The offense features freshman leadoff batter Bri Brochu and classmate Tamara Aunchman, Husson’s cleanup hitter. Brochu, who plays both in the infield and the outfield, is among Division III’s leading hitters nationally with a conference-best .500 batting average in 102 regular-season at-bats to go with a NAC-best 10 doubles, 10 stolen bases and 15 RBI. “She bats on the left side and has speed so she can bunt; she can slap and she can hit for power,” said Allen of Brochu, a Pittston resident who batted .627 as a senior at Gardiner Area High School while stealing 40 bases in 40 attempts and not striking out during the regular season. Aunchman, a first baseman from Panton, Vermont, leads the NAC with seven home runs to go with a .370 batting average and 26 RBI. 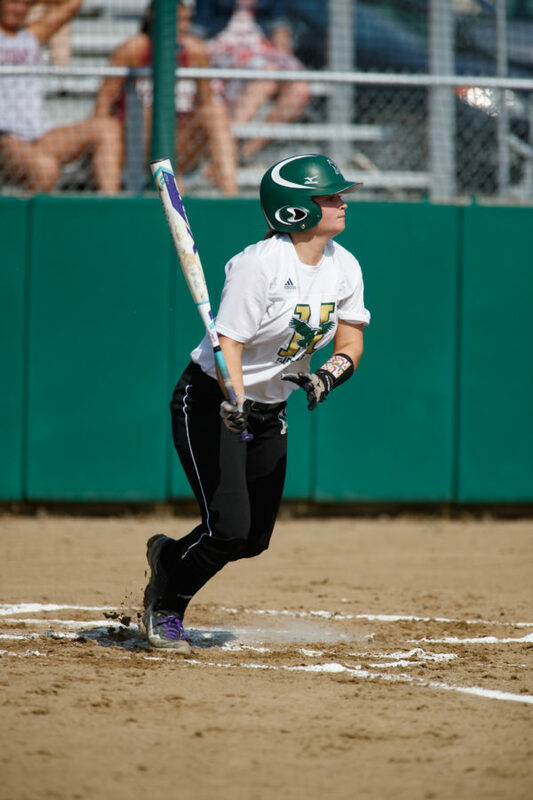 She is the reigning conference player of the week after batting .450 with three scored runs, six RBI, two home runs, one double, and two walks in Husson’s last six games. Others contributing to Husson’s .324 team batting average include sophomore outfielder Olivia Smith of Calais (.330, 20 RBI) and freshman infielder Chloe Gorey of Scarborough (.309, 3HR, 21 RBI), while senior second baseman Nicole Andrade has a team-leading 13 stolen bases in 14 attempts. One other big difference from last spring — when Husson’s seven-year run as NAC champion ended — is in the pitcher’s circle. Freshman Jen Jones (7-5, 2.52 ERA, NAC-leading 96 strikeouts), senior Alannah Healy (8-2, 0.90 ERA, 65Ks) and sophomore Aarika Brochu, a transfer from Division II Saint Anselm who is 5-4 with one save and a 2.35 ERA, have provided the Eagles quality depth while working with senior catcher Casey Lopes. Husson’s return to the top of the conference standings was rooted in its pre-NAC schedule, which included a 14-game trip to Florida. Now the Eagles hope to cap off their season by winning their conference championship and earning an NCAA berth amid the most intense time of the year on any college campus — finals week. At least they won’t have to travel.